COCO IS: A certified esthetician who is originally from the American South, but lived almost all of her adult life in Montréal. 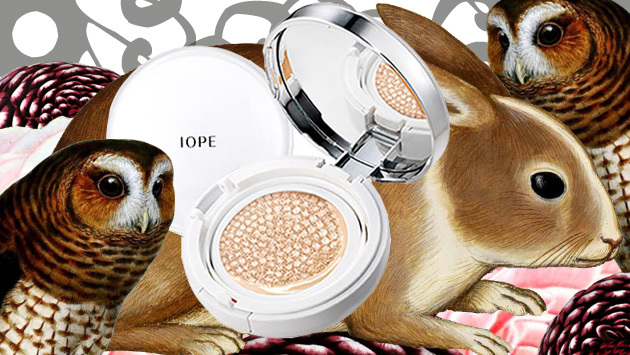 In her blog The Beauty Wolf, she reviews skincare and beauty products accompanied by her own beautiful graphics. ON STARTING THE BEAUTY WOLF: "Skincare and makeup have always been a big focal point in my life. I started out as a makeup artist at the age of 19 and went on to become a freelance professional, soon after that I got a certificate in esthetics. I finally got up the courage to start my blog after retiring from that line of work and feeling a creative void. In addition to that I was dying to get the word out about the amazing products coming out of Korea. I wanted everyone to know what they were missing!" Awesome graphic accompanying her review on the Iope Air Cushion. ON HER INTEREST IN SKINCARE: "Funny enough, it all started with my husband. [He] is Korean-American and when we'd visit his family's home and I'd notice the bathrooms full of interesting looking bottles and products I'd never seen before. I was intrigued! From there I got the itch to visit all the Korean cosmetic stores in their area to see what it was all about. After being a professional makeup artist for many years and thinking I knew everything there was to know, I was really upset that I didn't have a clue about Asian beauty sooner. I'm in awe of the amazing nonstop innovation in everything from the ingredients to the packaging. I also admire the dedication to the ritual of beauty, anyone familiar with a Korean skincare regime will know what I'm talking about." Her review on the 3CE Lip Laquer. ON HER FAVORITE PRODUCTS: "Right now I'm in love with Sum:37 Waterfull Gel Cream, Hanyul White Chrysanthemum Powder Serum, and my favourite old standby is always Missha First Treatment Essence. As for makeup I'm loving the Etude House Play 101 pencils, Iope's Air Cushion, VDL lipsticks, as well as every 3CE lip color formulation, seriously all of them!" 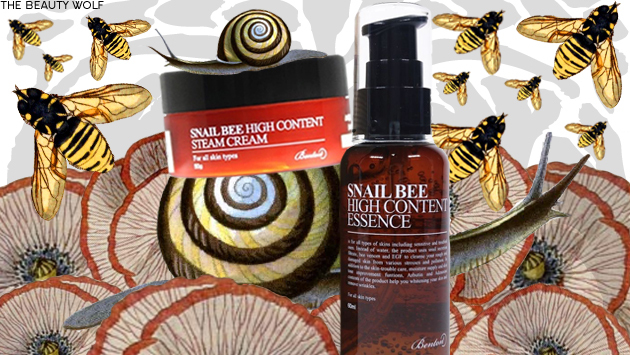 Check out her review on Benton Steam Cream and Essence here! ON HER SKINCARE MUST-HAVES: "I can't imagine a world without my Benton Steam Cream. Whenever my skin is really parched or irritated I mix it with some drops of Rose Hips oil and slather on in a thick layer like it's a sleeping pack. After that I wake up soothed with happy skin." Her review on the Hanyul Rice Essential Skin Softener. ON HER ARTWORK: "I was honestly afraid my 'weird' graphics would scare people off when I first started the blog! I wish I could say exactly where the inspiration comes from, I just put on some music and lose myself in the process. I've always loved strange things so I guess that influences my artwork. I do actually have a background in design and art. At one point I had a small graphic design company and used to draw and paint for fun. These days I only design graphics for my blog and occasionally make prints for friends who are crazy enough to want to hang them in their home!"